Cheryl Rowan Speech Therapy - Get Involved. Make Friends. Enjoy Motherhood. 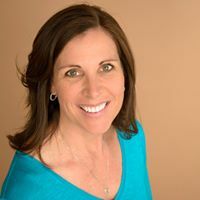 As a certified speech and language therapist, Cheryl Rowan specializes in providing comprehensive speech-language evaluations and high-quality therapy services to children and adolescents. With a welcoming clinic located in Louisville (about 1 mile from old-town), Cheryl treats clients from Louisville and surrounding areas including Superior, Lafayette, Boulder, Erie, Westminster, as well as other nearby cities.